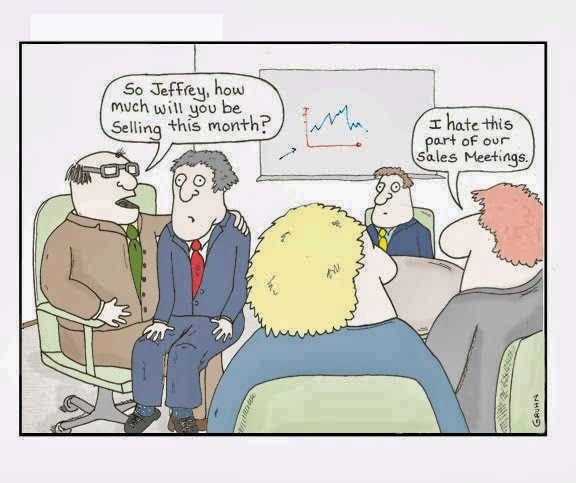 Sales review meetings is not the favorite part of the job for any salesperson however meetings are important tools at the hands of a manager to share ideas, strategy, concerns etc. I have been a part of umpteen Sales meetings as a participant and the most common byproduct of sales meetings- overstretched, narrow focus, bad news etc which can be avoided by offering a structure to meeting. The major purpose of sales review meetings is to understand what has happened in the next week, fortnight etc and what is going to happen as far as sales are concerned for the same period. It is a good forum to coach individual sales person on individual deals, gather sales ideas , appreciate top performers and develop overall sales strategy. It is sole decision of a sales manager to conduct these reviews on an individual basis or in sales meeting. I always prefer latter since it offers a good dialogue as well as a collaborative approach to problems. 1. Funnel/Forecast review:- The ideal period to conduct a funnel or forecast review is monthly however for businesses that involves large no. of transactions it is better to conduct it on a weekly basis. What are the concerns to achieve these business. Support required from Product team, Procurement team and Higher management. Is funnel balanced- Does it have a right balance of all the products that company has to offer. How the leads are generated and are these activities sufficient to drive sales. Who are the key decision makers and what is our engagement at each level. These are the accounts that are already on-boarded and hence review on their business, deployment of resources, KPI measurement is essential for retaining existing business. Territory review is similar to accounts review. In some organizations, market is divided by accounts-For instance 25 accounts to each Salesperson and in some organizations the market is divided into territories. This kind of review should be conducted even with channel partners on a regular basis. A good review would help a sales guy in the introspection of existing sales strategy as well as help in formulating right road map for future. It is inherent tendency of salesperson to have a passive view of these sales meetings so communicating right agenda, asking salesperson to set the expectations out of sales review is very important. Doing Sales review right would definitely help a salesperson is to spend his time effectively in the field.